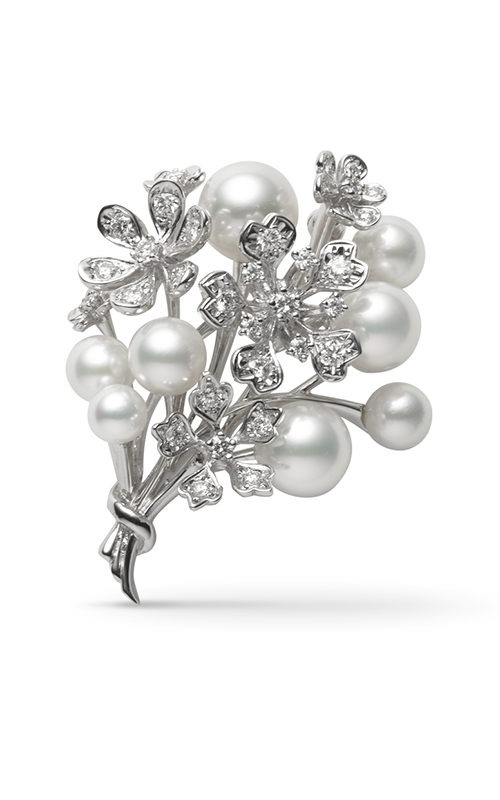 This Brooch from Mikimoto is bold, making itself the perfect accessory to complete your style. Model number MBQ10011ADXW is a stylish piece from their Bloom collection. Crafted with 18k white gold, it is a design of vision and superior quality. Accessorize your look today with this astonishing Brooch. As an authorized dealer of Mikimoto, Albriton’s Jewelry in Jackson, Mississippi proudly offers you this engagement ring with model number MBQ10011ADXW. Our retail store exclusively carries 100% authentic jewelry from the finest brands in the jewelry business. If you want more information about this Accessories or any other general inquiries, feel free to reach us by phone, email or by visiting directly to our store. Our expert representatives will be happy to assist you with your inquiries.